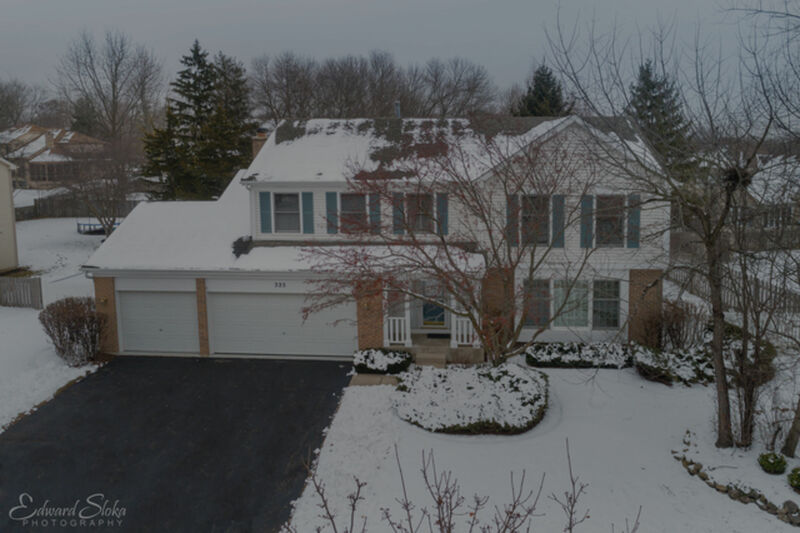 Beautiful Algonquin 4 Bed 2 1/2 Bath in Jacobs High School! Check out this beautiful 4 bed 2 1/2 bath Algonquin listing in Jacobs High School District 300, 325 Stonegate, Algonquin priced at just $282,500! Obsessed with big picture windows? How about two – front living room & rear family room! So much home for the money & impeccably maintained with pride by long time owners of 22 years! Desirable Arbor Hills, excellent schools, walk to shopping/LifeTime fitness! Check off your room boxes: LARGE formal living/dining, eat-in kitchen with peninsula island that opens to your LARGE family room w/gorgeous brick fireplace overlooking park-like 1/3 acre fenced yard setting + huge poured cement patio! King-sized+ cathedral master suite w/walk-in closet, linen closet, luxury bath layout has huge soak tub, his & her SEPARATE sinks/vanities + separate shower. Three additional 2nd level bedrooms are more than generous & the 2nd bath layout is spectacular complete with laundry shoot! Partially finished basement, most of the work is done for your family rec space. 3 car garage! So much new/newer: Roof, furnace, central air, HWH, toilets, paint, SGD, some windows replaced too. Estate sale, sold as-is.